Beat the Summer heat with a tasty Frozen treat! 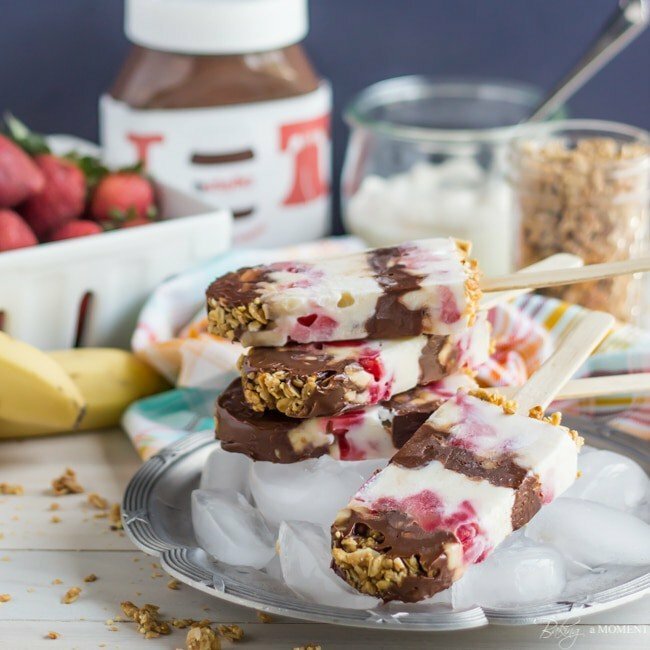 These Nutella Yogurt Parfait Popsicles are layered with Fresh Fruit and Crunchy Granola, and make a delicious and wholesome Breakfast on the go. Especially when they’re made with ingredients like Greek yogurt, fresh fruit, granola, and a little bit of Nutella to make them extra yummy! I owe this idea to two of my favorite bloggers: Mom on Timeout, and Real Food by Dad. Trish from Mom on Timeout was the first one (that I know of!) 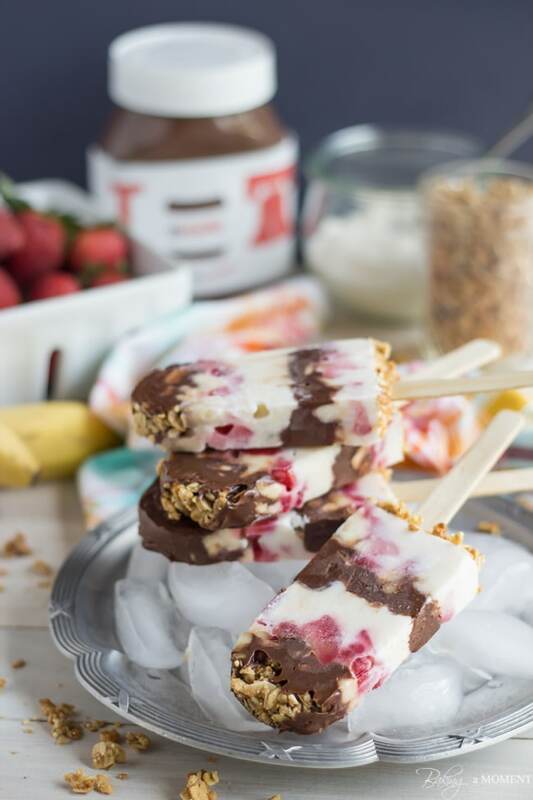 to suggest yogurt popsicles for breakfast, and Matt from Real Food by Dad is the king of layering crunchy stuff in a popsicle mold and freezing. These two are rockstars in the kitchen and I’m inspired by them on the regular, so definitely follow their blogs, if you’re not already! 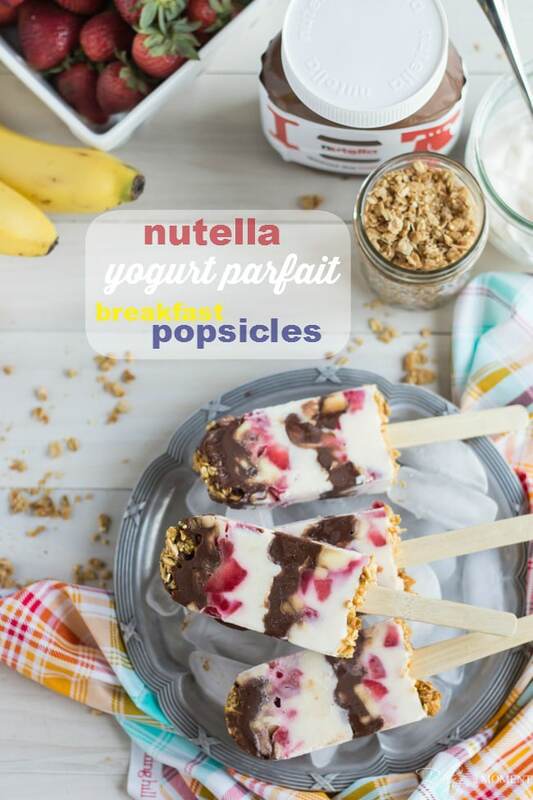 Seriously, what is more perfect for breakfast that fruit, yogurt, granola, and Nutella? Fresh, wholesome, filling, and delicious. Why not freeze it? It is summer after all! And everything’s better on a stick, right? These ice pops are one of my favorite ways to #spreadthehappy around the Baking a Moment household. My boys are HIGH energy, from the time they get home from day camp in the afternoon until waaaay past their bedtime every night. Sometimes it’s hard for them to drag themselves out of bed in the morning. And I hate to have to wake them. For one thing they look so sweet and angelic when they’re sleeping, and for another, I kind of love the peace and quiet! But they do need a good breakfast to get their day started. I love having something I can pop out of the freezer and let them enjoy on-the-go, and this idea definitely made them smile! There’s not much to this recipe! In fact I hesitate to even call it that- it’s basically just layering everything into a popsicle mold and freezing! 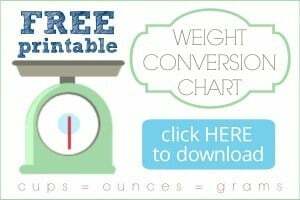 But I’ve gone ahead and formatted it into a recipe card anyhow, so this way you can save it to your digital recipe box, bookmark it into a Foodie collection, pin it for later, or print it out for your files. Use whatever fresh fruit you happen to have on hand. In my house, strawberries and bananas are a staple, so I just chopped ’em up and chucked ’em in! And if you want a really great granola recipe, be sure to check this one out! It’s really tender with a delicate crunch, and it tastes soooo good with Nutella…! 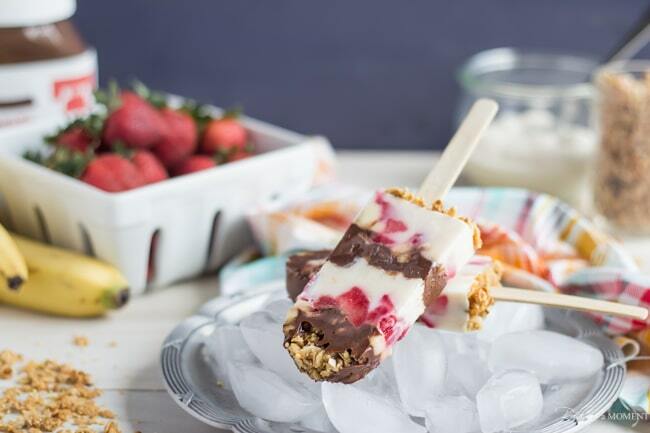 Alternate layers of Greek yogurt, fresh fruit, Nutella and granola in a popsicle mold. Run the mold under hot water briefly, to ease the popsicles from the mold. These popsicles are absolutely incredible! How bad is it that I crave this for breakfast? In love! It’s not bad at all! Go for it girl! Allie, I can SO get behind the idea of popsicles for breakfast and these are slaying me with awesome! Ha ha love it! Thanks so much for the sweet comment, Amy! These are absolutely amazing, Allie. My boys would LOVE these!! BEST BREAKFAST EVER!!! These look soooo good. I love the layers! Popsicles for breakfast? With Nutella? Heck yes! These look incredible Allie – love them! Pinned! Thank you so much Kelly! I figured why not? It’s all breakfast-y stuff in there, right? Cute pics! I love the 4th of July festivities in Philly. What great memories of my childhood. Lol thanks Melanie! I kept telling my kids how lucky we are to be at the birthplace of America, on its birthday. They loved it! Yay!!!! Thank you so much Beth and I hope you enjoy them as much as we did! What a RIDICULOUSLY good idea!!! Leave it to you, Allie, to always take it up a notch. I am like your sons, and I have a ton of trouble getting up in the morning, but I’m pretty sure that would not be a problem if I knew these popsicles were waiting for me. If those two are you rockstars then you’re mine 😀 This looks delicious and healthy and extraordinary! Thanks for sharing. never thought to put nutella in an ice pop. it sounds great! Thank you so much Laurie, and I’m so sorry for the late reply! I was away all last week and just now getting caught up on things… I’ll try not to miss this week’s link-up. Thanks for inviting me!